This entry was posted on Thursday, July 24th, 2008 at 8:46 am and is filed under Class acts, Downloads, Media, Writers. You can follow any responses to this entry through the RSS 2.0 feed. You can leave a response, or trackback from your own site. 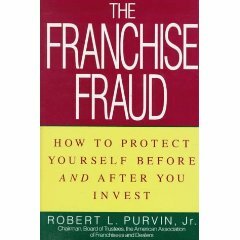 This “disinformation” program of the IFA and other interested parties concerning the performance of franchises for franchisees is clever and difficult to expose. A half truth (such as franchises stand longer than independents and are less risky) is not a lie, no matter how misleading, and business reporters and business newspapers and magazines are always looking for “product.” The Press Release and the Interview and the Website is cheap advertising for franchisors who are permitted to advertise and sell their franchises as valuable investments outside of “Truth in Advertising laws.” The FTC is responsible for regulating advertising on the Internet. Franchisors are allowed and encouraged to use their disclosure document, the UFOC, now the FDD, to imply that the Government is endorsing their franchise as long as they disclaim that they have promised any success and profits to new buyers of franchises outside of the disclosure document. Yet, they are not required under the FTC Rule to disclose earnings or any unit performance statistics in the FDD to new buyers. The majority of franchisors do not disclose earnings or any performance statistics of their units to new buyers of their franchises after over 30 years of the FTC Rule. The SBA guarantees loans for franchisees of franchisor systems that have very high failure rates of first-owner franchisees and franchising grows in our economy and in the new jobs numbers released by government. Retail franchise jobs are low paying jobs with no future and no benefits. I thought it was brave of Scott Shane of Western Reserve University in Cleveland to blog about this on April 28th, 2008; i.e. Startup Failure Rates, and posted a few questions to him as comments that he has not yet answered. Obviously, the business model of franchising, when churning is possible, does permit some franchisors to overcome the odds and to grow their systems to gain market share and to beat the odds for a longer period of time than the independent business operator.